Interviewing has always been something exciting for all of us. Learning about experiences one had is a fantastic feeling for the rest. This interview is with a volunteer working with Art in Tanzania, an NGO known for upbringing major social impacts in the community of Dar es Salaam, Tanzania. Let’s hear about Sari’s experiences and how she worked with AIT to help the community grow. Interviewer: Hey Sari, How are you doing? Sari: It’s good. How are you? Interviewer: I’m great. Let’s start. First, tell me something about yourself. Sari: I am Sari, living in Finland now. My first time in Tanzania was two years ago. This is my fifth time with Art In Tanzania since then. Interviewer: That’s amazing. So, you’ve been volunteering for a long time. You can tell me exactly how do you think volunteering affects the community? Sari: I can say from my side, as I was in the Construction as well as Environmental conservation project that even if you do a small thing for a community or teach a few people how to do something, they can spread the word. Even a small help from your side can be a big thing for the natives. You can’t change the whole world but you can change a community by taking a single ‘step’. Interviewer: That means a lot, really! Have you been volunteering before these AIT Volunteering? Sari: Not really, this is practically the first. Interviewer: That’s good. How did you end up at Art in Tanzania? Sari: Yeah, we had a big festival in Finland called ‘World Festival’. 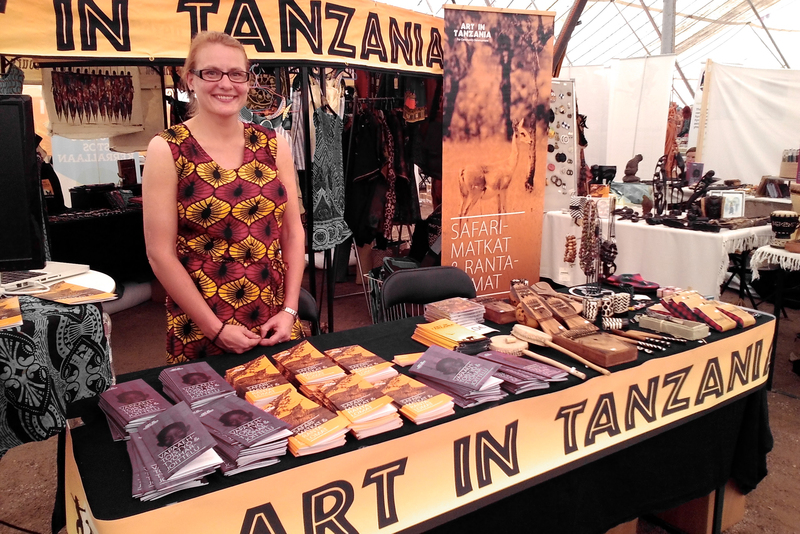 I met Marjut at the Art in Tanzania stand there. I was planning to have a sabbatical year from work & she told me about the volunteering & internship opportunities here. It sounded so good that almost the next day I was booking the tickets. Interviewer: Awesome. So What project were you working on at AIT? Sari: Mainly construction & some environmental projects like in Moshi, we had a Tree Plantation & Conservation project. In Zanzibar, I learnt how to make Dhow boats & in Dar es Salaam, we made the compost & I taught native people how to use it for agriculture. Interviewer: That’s so good. How was your experience with AIT during these two years? Sari: I was so good, that it is my fifth time here. I really love this. I keep coming back & back & back. Interviewer: Now Sari, I want you to rate Art in Tanzania on the following points on the scale of 1-5. The interviewer is a volunteer working with Art in Tanzania & has no relation with AIT at all. The interview is devised and conducted by the interviewer itself, with no interference from the AIT team.